I used Windsor wedding car services recently for a wedding I was planning for a friend. The whole experience was faultless. 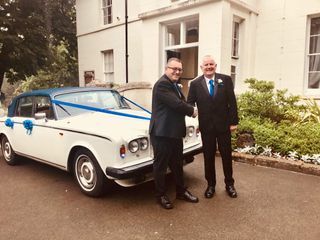 A friendly, reliable, local business, that provided a stunning Rolls Royce car for the special day. With great communication's, reasonable rate's and friendly approachable staff, I would highly recommend using this company. 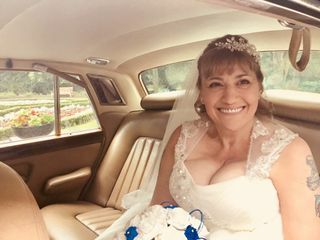 Thank you Joanne, for your very complimentary review about Windsor Wedding Car hire services accountability on your wedding day. "it's nice to be important! But it's more important to be nice! " Absolutely amazing car would recommend this company considerably. Made myself relax, took beautiful pictures with the car. Thank you very much for being part of our special day. 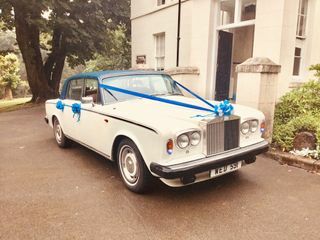 Thank you Carys, for your very complimentary review about Windsor Wedding Car hire services accountability on your wedding day. Everything was perfect from start to finish. Professional with a personal touch! Our driver Richard took some beautiful photos too! Nothing was too much trouble and I really felt at ease! Would definitely recommend. Excellent service, went beyond what was expected, the little touches that made all the difference... Turned up well before time, banter in the car, making my daughter feel at ease and to top it all, photographs which were professional added at no extra cost... Value for money. Thank you so much John for your review about how W. C. H. S.
It's nice to be important, but important to be nice! Very much appreciated, Wynford Thomas. I highly recommend Windsor Wedding Car Hire Services. The quality of the service was excellent. Our driver was warm, friendly, calming, patient and helpful, which is what you need when you're a nervous bride! Nothing was too much trouble. It was one of the best bits of the wedding day. The photos taken were beautiful and I'm so very pleased with them. They were a pleasant surprise. If anyone is thinking of hiring them, please do! It made my day more enjoyable and special. 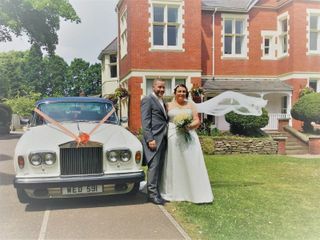 Thank you Cassia for your very complimentary review about Windsor Wedding Car Hire Services accountability on your wedding day. Wynford was very helpful from start to finish. It was a rainy day but he stayed on until after the service to see if any further photos were possible with the car (we were married and had a reception in same venue). He knows this business very well and is a calming voice for any bride. I would recommend Windsor Car Hire to anybody! Great value for money, then you get added extras that he doesn't tell you about when booking all at no extra cost!!! Amazing service, very polite and professional at all times while still making everyone feel calm and relaxed. Arrives in plenty of time to avoid panic, goes the extra mile without any hesitation. Wynford was not only our driver for the day but he also DJ'd for us at our reception and again delivered a fabulous service. Thank you so much Janet for your lovely review about how W. C. H. S. accounted for themselves on your wedding day. 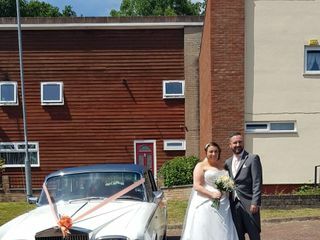 A big thank-you to Wynford at Windsor Wedding Cars who did a fabulous car service for our wedding. Very polite and professional. Exceeding expectations I arrived at the church 5 mins early. Wynford then went the extra mile and took us to Llandegford reservoir for photos with our photograph. Wynford also took amazing pictures of us and dropped us off at our hotel at the end of the night. Thank you for everything you have done for us. 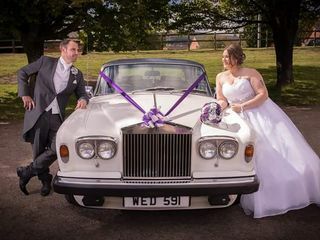 We would highly recommend Windsor Wedding Cars who will go the extra mile. Wynford is also an excellent DJ. Thank you so much Nichola for your review about how W. C. H. S.
Glad to of been part of your special day. Great service and attention to detail nothing is too much trouble for this company. We were let down by a mini bus booking for some of our guests transport. Wynford helped us sort this out in 5 minutes of me asking for help. 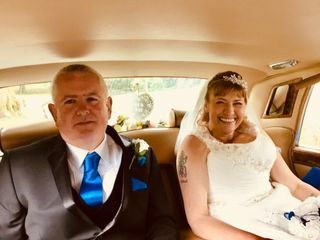 We travelled to and from our ceremony in style in the Rolls Royce and the two Mercedes.